Thank you for your direct, candid feedback on the test we had planned to launch in the fourth quarter for food choices on some of our flights. 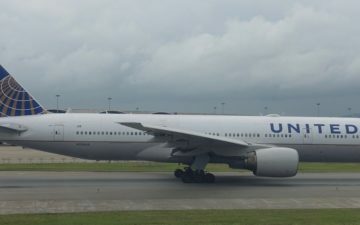 We heard you and have decided not to move forward with the test of offering customers buy-on-board options in United Economy on certain trans-Atlantic flights. We will continue to offer complimentary hot meals on those flights. The response from you and many of our corporate customers, even before we launched the test, told us what we would have undoubtedly learned had we proceeded – you value our hot meal service in economy class for international flights. In this environment, where higher costs driven by volatile fuel prices are now the norm, we must continue to tailor products and services so that we provide you with choices and competitive fares. As such, we will continue to be proactive in testing new ideas. 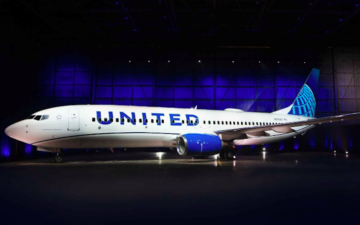 On October 1, we will proceed with the test of new, complimentary options for United Business customers on three-cabin aircraft used for domestic routes, which represents 16 daily flights. Customers on these flights will receive complimentary fresh sandwiches, salads, breakfast, snack boxes or snacks, depending on the length of flight and time of departure. 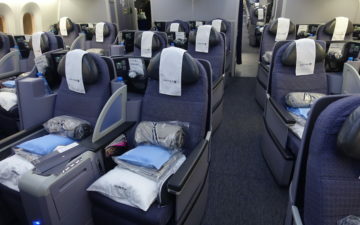 They will also continue to enjoy complimentary beverages, including beer, wine and cocktails. We will evaluate the results and determine next steps by the end of the year. It’s also important to note that full meals will still be served on our p.s. transcontinental flights. Thank you again for your feedback. We will continue to listen and make changes that enable us in this environment to provide you with the choices you value. 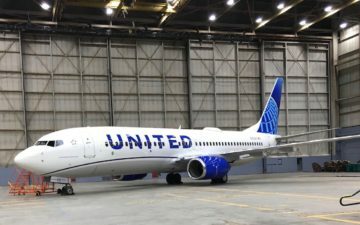 Other than the fact that I never wrote United about this issue and they still say “your feedback” (which I assume refers to UA flyers as a whole and not me, per se), I have to give United credit on this one, well done! After all of the idiotic changes we’ve seen recently, it’s nice to see an airline at least listened to customers somewhat for a change. I don’t think they’ll be able to fully reverse the damage they’ve already done since there will still be confusion, especially from people that heard about the change when it was announced and might not necessarily hear that they’ve changed the policy, not to mention all of the anger this has created. Also, I like that they sort of admit they’ve made a mistake, at least indirectly. It’s good to not hear utter fluff for once and finally get a “we f$&#*$ up, sorry” letter. There’s also a glimmer of hope that meals will return to business class domestically, since they seem to emphasize that it’s a test. I don’t care about this change too much anyway, other than maybe on a transcon, since I find the fresh buy on board food to be just as good as the “meals” they serve. I guess this means that if you care about meals in domestic business, complain like hell over the next few months and they might change that too! Starwood improvements announced…. I woke up for this?